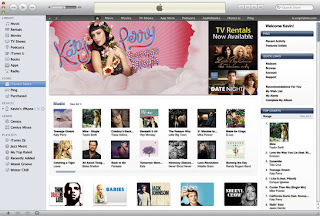 WJSG Internet Radio: Is iTunes Doomed? Unfortunately for Apple, those are questions that many music fans have been asking since Ping launched in September 2010, and they've led to predictions that the iTunes Store – long the Big Daddy of digital music – is now similarly doomed. Ping sounded fun when it launched: a music social network to tell friends about the music you were buying on iTunes, and see what they'd been buying too. Bands could get Ping profiles too, posting status updates, photos and recommendations of their own favourite tunes. It had two problems that ultimately sunk it, though. First, it paled in comparison to Facebook and Twitter, where hundreds of millions of people were happily sharing details of the bands they loved – not tied to specific purchases – and following the updates of friends and musicians alike. But Ping's second problem was that it was tied to iTunes, an old-school downloads store at a time when many music fans were drifting away to a range of new-school digital music services to listen to and/or buy music. Spotify, Deezer, Rdio, MOG, Grooveshark and others for on-demand streaming. YouTube for videos. Pandora (in the US) and we7 for personalised radio streams; SoundCloud, Bandcamp and bands' own websites for direct music sales; music blogs, discovery apps… The likes of DJ Shadow are even using BitTorrent to legally get their music out nowadays. 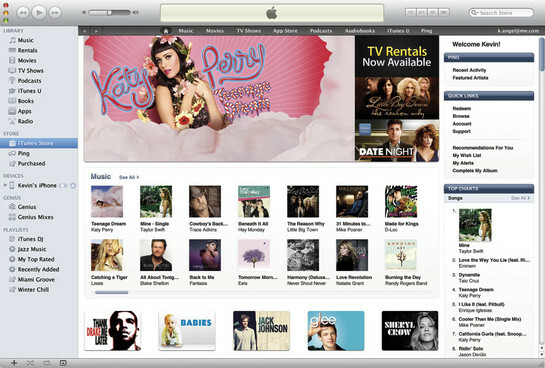 Which begs this question: is iTunes irrelevant in 2012? Plenty of people in the tech world think so. Silicon Valley blog PandoDaily, for example, which suggested this week that "iTunes Is Doomed" – albeit with the main proof seemingly being that the site's editor has a shiny hi-fi and a subscription to MOG, and can't understand why the rest of the world doesn't. iTunes isn't doomed. It's the biggest music downloads store in the world, by some distance, with no sign of even big guns like Google and Amazon putting a dent in its sales. It's preloaded on every iPhone, iPad and iPod touch that's sold – 400 million so far – and has 435 million registered accounts, with credit card details. Is downloading doomed, in the long term? Yes, if you believe the theory that music downloads were just a transitory stage between 'ownership' (of cassettes, vinyl, CDs) and 'access' (to enormous catalogues of music streamed from the cloud). You, me and the editor of PandoDaily may have made the leap to access already, but we're the early adopters. There are a fair few of us – Spotify has 15 million active users, Deezer has 23 million and Pandora has 56 million in the US alone – but not enough to kill off iTunes just yet. It's true that the most exciting, innovative developments in how we find, listen to and (hopefully) pay for music are happening well away from iTunes. But iTunes will evolve. Ping is shutting down to be replaced by Facebook Likes, now that Apple has settled its differences with the social network. Twitter is already built in. There are also persistent rumours that Apple is also working on plans for its own streaming service, although opinions vary on whether it will look more like Spotify or Pandora. If you're reading this article, chances are you'll be streaming rather than downloading all your music in 2-3 years time. But by then, iTunes may well be one of the services jostling to provide those streams.